SUMMARY: Rewarding lifestyle behavior change over participation, heavier use of texting and social networks to promote programs  just a few of the findings from HIN's fourth annual market analysis of incentives use in population health management in 2012. We wanted to see in which areas incentives have generated the most positive response. 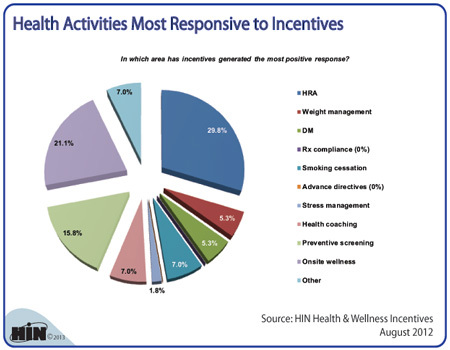 2012 Healthcare Benchmarks: Health & Wellness Incentives is available from the Healthcare Intelligence Network for $127 by visiting our Online Bookstore or by calling toll-free (888) 446-3530.